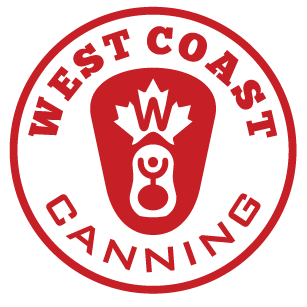 Quality control procedures are an integral part of West Coast Canning’s mobile canning service. Whether we’re canning craft beer in downtown Vancouver, out in the backcountry of rural Alberta, or canning cider in the Okanagan, we carry out the same rigorous cleaning routine every time. Our CIP procedures and quality control measures ensure your packaged product reaches the consumer exactly as intended. 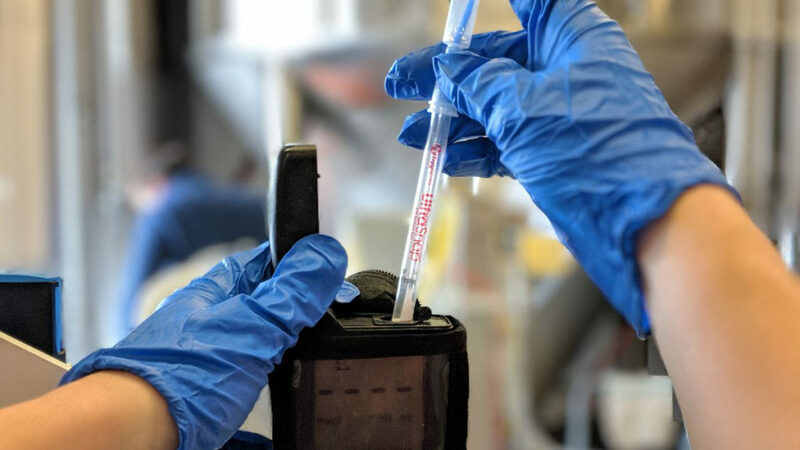 ATP testing is just one of the important steps in our cleaning process, but what exactly is ATP and why do we test for it? Adenosine TriPhosphate (ATP) is present in all living things and organic matter. It is a byproduct of respiration and is the main “currency” of energy transfer between cells. Really, all you need to know for mobile canning purposes is this: Where there is ATP, there are living cells and the more living cells present, the higher the contamination risk. That’s why we test the surfaces of our mobile canning equipment for the presence of ATP before your product or cans come anywhere near the line. The aim of our cleaning process is to remove all organic matter from any surfaces of the canning line that may come in to contact with the can or your product. To ensure all contact surfaces are as clean as possible we use a Hygiena SystemSure Plus ATP™ Hygiene Monitoring System after cleaning and prior to sanitisation. A clean surface is swabbed by our lead canning line operator and the swab exposed to a reagent. If ATP is present on the swab, it reacts in a so called ‘firefly’ reaction (a biochemical luciferase reaction) giving off light which is measured in a luminometer. ATP is measured using Relative Light Units, a non-standard measurement that is specific to each manufacturer. The SystemSure Plus gives us an immediate reading of the ATP levels present, letting us know that our cleaning procedures have been effective. As a matter of routine, we test three separate areas of the canning machine, as well as a clearly dirty surface as a control. Our mobile canning teams work to deliberately excessive standards of cleanliness to eliminate even the slightest contamination risk and guarantee your peace of mind.